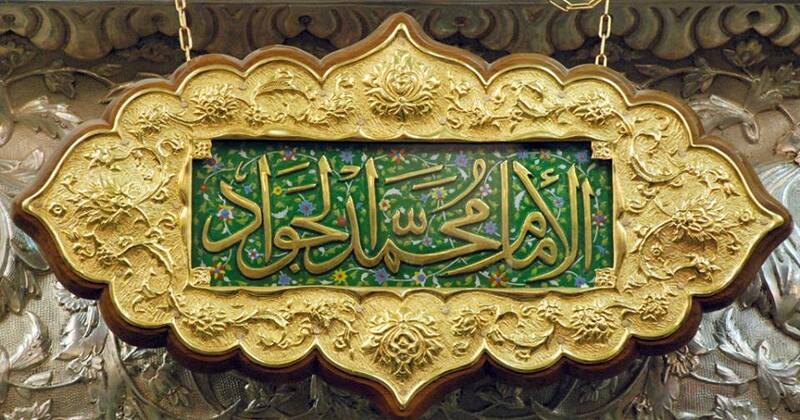 Imam Muhammad Taqi (as) occupied the highest position in human virtues and moral attainments as this was the marked feature of the Prophet’s family. It was customary for the Imam to meet everyone humbly, fulfill the needs of the poor, maintain Islamic requisites of equality and simplicity, help the poor secretly, treat even foes fairly, extend hospitality, impart true Islamic knowledge to all and specially to the scholars of religion and the like, marked his saintly life-in full conformity with other members of this sacred series of infallible Imams. Common people who could not appreciate such heights of moral excellence, might have thought the new relationship, i.e. to become son-in-law of the most influential monarch of his time, must influence the pattern of life of the Imam and change his manners altogether. Mamun too, might have thought on the same lines because spiritualism which was the chief characteristic of this household was against the practices of worldly rulers. It could be said that neither the Ummayads nor the Abbasids had any personal grudge against the Prophet or his family, the Ahlul Bayt, but they were at war with the moral standards set by them. They always tried to destroy the center of moral excellence and human values which was shown as the polar star of ideal spiritual perfection, overshadowing their royal glory. In order to uphold their imperialistic and luxurious norms of life, these monarchs wanted to do away with these godly saints who demonstrated righteousness, compassion, faith, piety, fraternity and justice as the main teachings of Islam. Yazid’s demand of obedience from Imam Husayn (as) or Mamun’s appointment of Imam ‘Ali Al-Ridha’ (as) as his heir-apparent were two different aspects of the same desire. The procedures were different but the end purpose was the same. Imam Husayn (as) did not bow to pay homage, so he was slain in the battlefield. Imam ‘Ali Al-Ridha’ (as) did not serve the cause of Abbasid imperialism, so he was silenced with poison. Mamun, however, took it as a great opportunity to serve his objective to patron the Imam who was only a young man. The political sagacity suggested that it would be far easier to cast a young man into the desired mold and thus it would be possible to demolish the center of the Prophet’s teachings in Madina or elsewhere in the Islamic world which, although working silently, was dangerous to the imperialistic designs of the antithesis called Muslim Monarchy. No doubt Imam ‘Ali Al-Ridha’ (as) did not conform to Mamun’s designs, or to his desires, but this could not disappoint him. Imam Ridha’’s mature way of thinking and simple way of life could not be changed. But there was the hope that in all probability a man of a tender young age, who was brought up in the luxurious atmosphere of a Royal Palace would grow into an ambitious merrymaking prince, altogether against his ancestral ways and views. With the exception of a few enlightened persons, everybody would think on the same lines. But the world stood aghast to see that the young son-in-law of the most distinguished monarch of his time refused to stay in the royal palace and lived instead in a small house, thus maintaining the Islamic values of virtue and ethics of a simple and humble life. It is usually seen that if the bride’s people are comparatively rich, they wish that the groom might live with them, if not in the same house, at least in the same town and in a house of the same standard. The Will power of the Imam can be judged from the fact that he lived in a separate dwelling and of a humble standard in Baghdad. After one year when Mamun realized that the Imam was not pleased with staying in Baghdad, he allowed the couple to go to live in Madina. On his return to Madina the Imam maintained the same ancestral unimposing behavior: no body guards, no pomp, no restrictions on people meeting him, no visiting times, and no discriminations against anyone meeting the Imam and learning from him. He spent most of his day time sitting in the Mosque of the Prophet where Muslims came to avail from his knowledge and preaching. The narrators of Hadith and other students of theology came to enquire about religious sciences and the Imam guided them by explaining every complicated matter. All the world saw that Imam Ja’far Sadiq’s successor, seated on the same mat, was guiding the people towards piety which was the hall mark of Islam. Imam Muhammad Taqi (as) allowed the same amount of freedom to his wife Umme Fadhl and imposed the same restrictions on her as his ancestors had done in the case of their wives. He did not care much about the fact that Umme Fadhl was a princess. Although she lived with him, he married another lady who was a descendant of Ammare Yasir. God had intended to continue the line of Imamate through her and she gave birth to Imam ‘Ali Naqi (as) the tenth Imam. Imam Muhammad Taqi’s speech was very charming and effective. Once during the Hajj season he addressed a gathering of the pilgrims and stated commandments of the Divine Law of Sharia’a. The audience included learned scholars who admitted that they had never heard such an eloquent and comprehensive speech. Many scholars came to learn the teachings of Ahlul Bayt. A collection of brief and wise sayings is also left by the Imam, resembling the wisdom of his ancestor Imam ‘Ali ibn Abi Talib (as) Some profound discourses on theology and monotheism are also to his credit. Mamun died in 218 Hijri (833 AD). As long as he lived no harm came to the Imam. Mamun was succeeded by his brother Mu’taman, the second heir-apparent after Imam ‘Ali Al-Ridha’ (as) . He came to be known as Al-Mu’tasim billah Abbasi. His niece Umme Fadhl now began to write to him complaining more than she did during the reign of her father because Mamun always rejected her complaints. But Mu’tasim was jealous of Imam ‘Ali Al-Ridha’ (as) from the very beginning. He had also opposed the marriage of Umme Fadhl to Imam Muhammad Taqi (as) . Al- Mu’tasim now got a chance to settle his differences in this matter. Imam Muhammad Taqi’s (as) fame as a great scholar and the constant gathering of people around him as well as the fame of his world renown noble character annoyed him. The failure of the political tactics too, intensified his resentment. All these factors irritated him into enmity. In the second year of his reign he summoned the Imam from Madina to Baghdad, ordering his Governor in Madina expressly about it. Imam was compelled to set out for Baghdad leaving his son ‘Ali ibn Muhammad (Naqi) with his mother in Madina. For one year after the Imams’ arrival in Baghdad, Mu’tasim did not do anything. He was hoping that the Imam would conform to the Royal ways of living and then this would be a source of infamy for the Ahlul Bayt. But when he realized that the man was becoming more popular in Baghdad with his scholarly discourses with the scholars there, he had to act to stop this as all his ancestors did before him and use the silent weapon of poison to eliminate that thorn in his heart. The Imam died of poison on the 29th of Zeeqa’ad 220 Hijiri (24.11.835 AD). He was buried by the side of his grandfather Imam Musa ibn Ja’far. It is because of the two Imam’s who were famous for their suppression of anger that the place was called Kazemain, the two Kazims, the enduring ones.